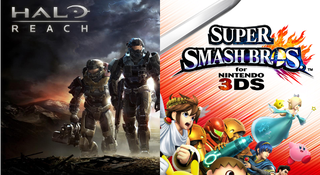 Tonight join us for your choice of Halo or Smash! For all you Xboxers we will be playing Halo Reach and for you Nintendo fans there will be some fun Super Smash Bros. for 3DS. Join us at 8:00 PM EST for some Halo Reach! My gamertag is Brett1157 if you haven't yet added me. GiantBoyDetective will be hosting Smash Bros. His friend code is 3566 1559 5682. Hit him up in the comments below! Check out the full Game Night schedule for this month and find your TAY friends on the TAY Gaming IDs spreadsheet!